The Daily Nails #3 | Becky Alyssa's Beauty Box. Far more into these dark sparkly goth nails more than I ever expected – they’re wonderfully shiny & sparkly! I used my Essie Protein Base Coat to keep my nails smooth and healthy (despite wrecking them with polish so much), then OPI Ink by OPI (glittery! 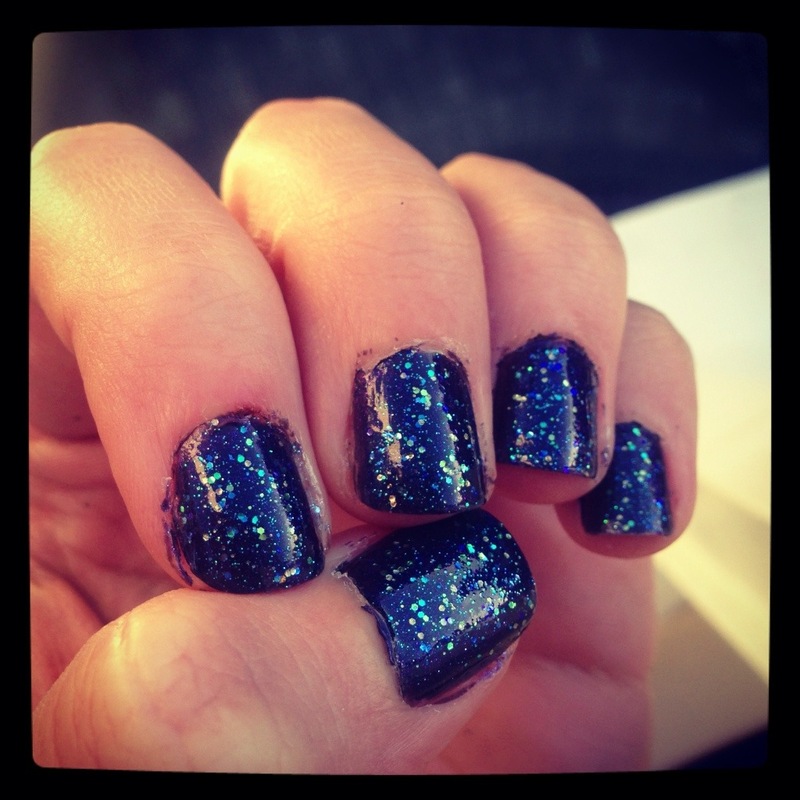 ), Last Friday Night by OPI (even more glittery!) and a generous helping of Seche Vite to finish them off, which is an absolute miracle for impatient people like me. They’re so sparkly I can’t stop looking at them, which probably isn’t the best thing when I’m supposed to be driving. ← My Benefit Brow Bar Experience..
Oh that’s such an incredibly pretty nail polish look! I must confess to getting a little distracted by my own sparkly nails sometimes!